Support the investment authorization process and the related monitoring activity. Degree in Economics or relevant/equivalent discipline. The candidate has already hold the same position and/or planning & reporting position previously will be a plus. Should you are interested with the position & meet the qualifications required, please send only your latest resume (in MS Word or PDF format with size no more than 1 MB) to: recruitment.id@eni.com and please mention the position title on the email subject: Apply for (name/position code). Please note that applications may not be reviewed if received after 30 July 2017 . We regret that only shortlisted candidates will be notified. 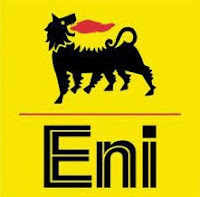 Please be aware that eni will never ask the applicant to pay any fee or appoint any travel agent for the selection process. All communications that ask the applicant to pay any fee or use specific travel agent are fraudulent & scam. The application can only be send through the above email. Thanks for reading Eni Indonesia Jobs: Economist. Please share...!